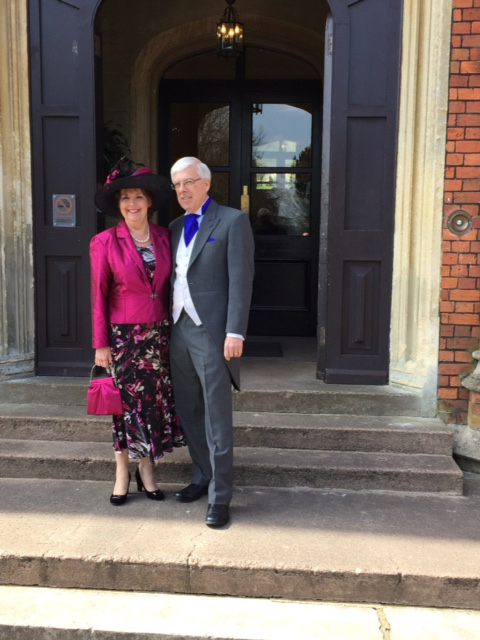 Rowena being a very glam Mother of the Groom in her black and magenta abstract print silk satin flared dress and matching dupion silk fitted jacket. She was a busy bee as she also made her hat and bag plus grooms men’s cravats and hankies. Also her daughter in law’s lace gown (which she beaded!) her veil and headdress. Blimey! Now she is off to do some gardening.